A surprising new study by an international team of researchers has concluded Earth's continents most likely were in place soon after the planet was formed, overturning a long-held theory that the early planet was either moon-like or dominated by oceans. The team came to the conclusion following an analysis of a rare metal element known as hafnium in ancient minerals from the Jack Hills in Western Australia, thought to be among the oldest rocks on Earth. Hafnium is found in association with zircon crystals in the Jack Hills rocks, which date to almost 4.4 billion years ago. "These results support the view that the continental crust had formed by 4.4-4.5 billion years ago and was rapidly recycled into the mantle," the researchers wrote in Science Express. Led by Professor Mark Harrison of the Australian National University, the team also included University of Colorado Assistant Professor Stephen Mojzsis and researchers from the University of California, Los Angeles and Ecole Normale Superieure University in France. The researchers used hafnium as a "tracer" element, using isotopes to infer the existence of early continental formation on Earth dating to Hadeon Eon, which took place during the first 500 million years of Earth's history, said Mojzsis, an assistant professor of geological sciences at CU-Boulder. Mojzsis also is a member of CU-Boulder's Center for Astrobiology. "The evidence indicates that there was substantial continental crust on Earth within its first 100 million years of existence," said Mojzsis. "It looks like the Earth started off with a bang." A 2001 study led by Mojzsis published in the journal Nature showed evidence for the presence of water on Earth's surface roughly 4.3 billion years ago. "The view we are taking now is that Earth's crust, oceans and atmosphere were in place very early on, and that a habitable planet was established rapidly," said Mojzsis. The work was supported in part by a grant from NASA's Exobiology Program. Editor's Note: The original news release can be found here. In related news, the missing link was found in Washington DC still spewing fire from her cavernous mouth after all these eons. I don't think there was any oxygen in the atmosphere though. Holy crap on a cracker, a spitting image. Sans lipstick. Would you be interested in hearing how the earth-moon system REALLY formed? It wasn't impact-splash wherein the incoming "mars" directly impacted the proto-earth, and splashed the moon-debris out into orbit; that theory has 2 fatal problems : collision statistics and geo-chemistry(no WATER results from such a gamma ray burster, thus NO oceans). There IS a scenario, RC/RC, which DOES produce just the early conditions that you refer to, you just have to break free from the blind belief of I-S. Have you the courage to hear the REAL story of how we came to be? That's frickin' hilarious! Best laugh all day. 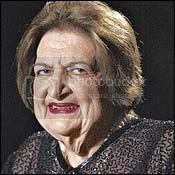 Why don't the researchers just ask Helen Thomas, who was around then ,to confirm their conclusion? Hafnium is what they call wholium when it reaches its halflife. Thank goodness. I feel much better now that I know the Earth didn't have incontinence.